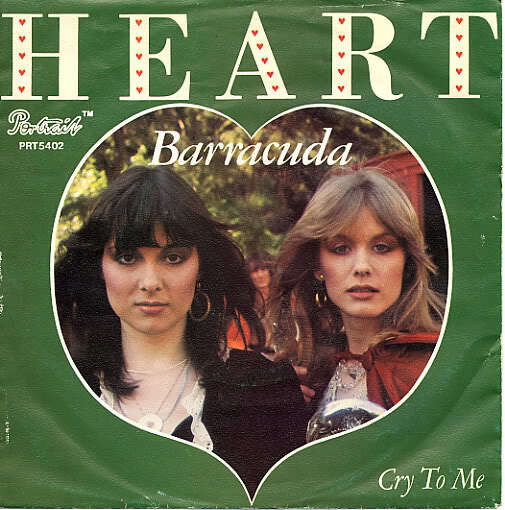 Heart’s ‘Barracuda’ became the 19th song to regain the top spot after having dropped from the number 1 position as it jumped back to 1 after having sat at 2 for 2 weeks. It was the 6th song of those 19 to have been absent from the top spot for 2 weeks with the Bee Gees’ ‘Don’t Forget To Remember’ holding the record to date 3 weeks break from the number 1 position. The song which had interrupted ‘Barracuda’s time at the top, McCully Workshop’s ‘Buccaneer’, had spent a total of 2 weeks at number 1, a week either side of the year end. It was the second of only 2 songs that would spend an equal number of weeks at 1 either side of a year end. The previous one to manage this was Giorgio Moroder’s ‘Looky Looky’ which was at 1 in the last 2 weeks of 1970 and the first 2 of 1971. The climber of the week was Clout’s ‘Substitute’ which moved up 9 from 18 to 9. This was only the 12th time we had seen a local song climb 9 or more in a week and there would only be 5 more to do so. There were 3 other star raters and these were Abba’s ‘The Name Of The Game’ which climbed 4 from 8 to 4, Rod Stewart’s ‘You’re In My Heart (The Final Acclaim)’ which climbed 4 from 14 to 10 and Wings’ ‘Mull Of Kintyre’ which moved up 6 from 17 to 11. This was Abba’s 18th star rater and they joined Tom Jones, Creedence Clearwater Revival, The Bee Gees and The Hollies in having managed so many. Of those, only Tom Jones so far had gone on to have more and he led the way with 23 to his name. For Wings it was an 8th star rater and Rod Stewart’s 3rd. Baccara’s previous (and only other to date) hit, ‘Yes Sir, I Can Boogie’, managed to go though its 15 week chart career without picking up a biggest faller award. Their second hit, ‘Sorry, I’m A Lady’ was not so lucky as it scooped up the award this week with a 6 place drop from 10 to 16. This was the 3rd time a song by a Spanish act had taken the award and we would only see the Spaniards have the biggest faller on 2 more occasions. The song that had been the oldest on last week’s chart, Brotherhood of Man’s ‘Angelo’, was the first of two songs to depart the chart this week. It had managed a run of 17 weeks, 2 of which were at 1. This was 5 weeks and 3 places better than their only other hit to date, the Eurovision Song Competition winning ‘Save All Your Kisses For Me’. The song that took over as the oldest on the chart was the same song that had taken over the top spot from ‘Angelo’ and that was Joe Dolan’s ‘I Need You’ which was sitting on 13 weeks. We also bid farewell to Meco’s version of the ‘Star Wars Title Theme’. This had lasted 14 weeks on the charts and peaked at 5. It would be Meco’s only SA chart hit and its 150 points made it the 12th best performing instrumental to date. Bonnie Tyler’s first hit, ‘Lost In France’ debuted at 17 and her second, ‘More Than A Lover’ arrived in the charts at 16, so it was only fitting that her 3rd hit, ‘It’s A Heartache’ would enter the charts at 15 this week. As with her previous 2 hits, the song was written by Ronnie Scott and Steve Wolfe. It was also recorded by Juice Newton around the same time. Tyler’s version was by far the more successful, going to number 1 in France, Sweden, Norway, Australia, New Zealand, Canadian, Spain and Finland. In the UK it made it to 4 while in the US it peaked at 3. It also charted in Canada (#2), Germany (#2), Switzerland (#3), Austria (#3), Holland (#3) and Ireland (#3). Juice Newton’s version only made 86 in the US and 91 in Canada. The other new entry this week was by a guy called Bruce Foster, an American singer/songwriter. He had worked with Status Quo, Kiss and Gladys Knight & The Pips, playing keyboards for them and had released an album in the UK. His first US album release, ‘After The Show’, featured the song which entered our charts at 20 this week, ‘Born To Break My Heart’. Neither the album nor the song would make the US or UK charts. Abba celebrated their 130th week in the chart while Joe Dolan was enjoying his 60th. They sat 4th and 36th respectively on the overall weeks on the chart list with Abba now only 1 behind Elvis Presley who was in 3rd place. The local acts had 6 of the top 20 hits while the Brits and Americans had 5 each. This would be the last time we would see the locals acts have more hits than any other nation. They had managed this 102 times in total. We also saw the 40th time where title of the top and bottom song of the chart began with the same letter (‘Barracuda’ and ‘Born To Break My Heart’). As a final comment, it was interesting to note that Trevor Rabin’s ‘Fantasy’ at 17 was sitting next to the effort by his old band mates, Rabbitt’s ‘Getting’ Thru To You’ which sat at 18. This entry was posted in 1978 and tagged Barracuda, Heart, SA Top 20, South Africa, Springbok Radio. Bookmark the permalink.